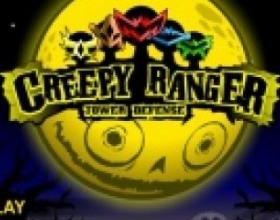 Your task is to use your own monsters to defeat enemy team. Customize your monster team with various characters. Each of them has different skills and powers! Upgrade, train and feed your creatures. Use your mouse to control the game. Follow in-game instructions. All you have to do in this game is to cause as much damage to skeleton as you can. 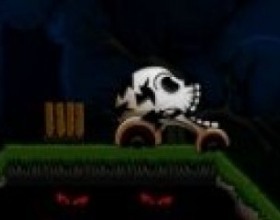 To do that you can use your cannon to shoot cannonballs and break the skeleton into parts. Use your mouse to aim and fire. Also you can drag cannon around the screen. 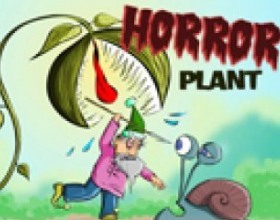 In this scary blood thirsty game your task is to help horror plant find something to eat. Look for solutions in each of situations to cut of some heads and eat them. 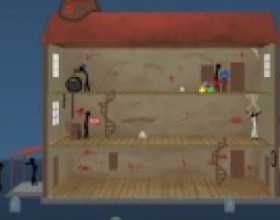 Use your mouse to point and click on objects and progress the game. 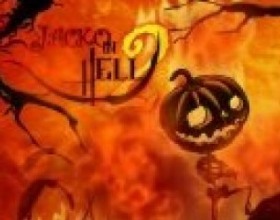 In this game you must help Jacko - a skeleton with a pumpkin head, navigate through the hell. Later you'll turn into flaming crow. Use Arrows or W A S D to move around. 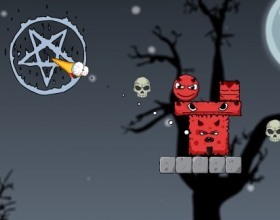 Your aim is to knock off required number of scary demon blocks from the platforms. 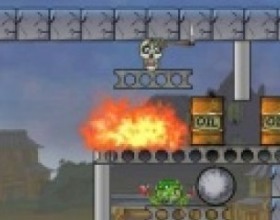 To do that you can use different types of fireballs to aim and fire. Try to collect all stars to get bonus points. Use your mouse to aim and shoot. Well, what will happen if in this Halloween Zombies will raise from the ground and start their own kart championship at the cemetery? 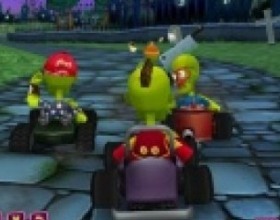 I guess, nothing good, but I pretty sure that it looked soooo funny :) Use your Arrow keys to control the kart. Press Z X to use special items. 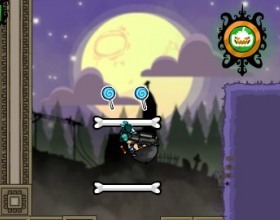 This time candy catcher have to do his dirty job in Halloween themed levels. As previously use your sticky expandable arm to grab onto objects and move around the screen to reach the candies. Use your mouse to play this game. Your task is to help Frankenschtein to throw skeletons into caskets. Collect many bonuses on your way. Avoid any obstacles, like flying knives. Use your mouse to aim and fire the skeleton. Your aim is to infect all people and turn them into vampires. You have to use your cannon to shoot out the vampires. Avoid priests and vampire slayers. Use Mouse to aim, adjust power of your shoot and fire. Another version of ClickDeath and Causality series. 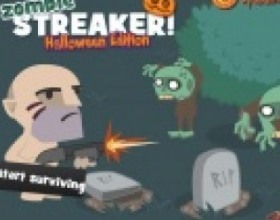 Its Halloween night and your task is to kill all stickmen without any of them seeing how their buddies die. 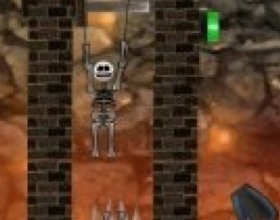 Scare them to death in this Halloween game. Use Mouse to play this game. Your task is to use available towers to destroy attacking enemies and protect the shelter. 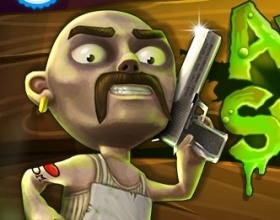 Earn money as you shoot zombies, ghosts, goblins, Frankensteins, mummies and many other monsters. Buy new towers, upgrade existing ones and combine gems. Use Mouse to control the game. Use W A S D or arrows to scroll the map. Another version of this cool cannon game. 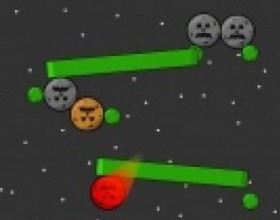 In this part you have to eliminate all blood thirsty monster balls to pass the level. 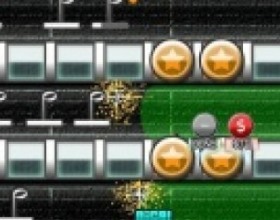 Use as few bombs as possible to get more points. Use Mouse to aim and shoot. 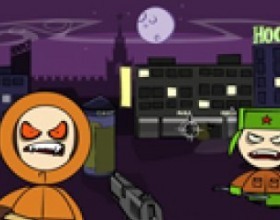 Your mission is to survive as long as possible and fight against zombies that are attacking you all the time. You have shotgun at your disposal to kill those creeps. Pick up ammo when it appears on the screen. Run over the pumpkin to activate the time bomb. Use W A S D to move. Use Mouse to aim and shoot. 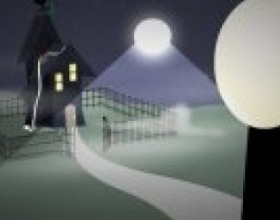 You play as Halloween ghost and your task is to scare to death all people in the house. You can take forms of any items in the room. Take control of the house and force all people to run away. Use the Arrows to move around. Use Space to take object's form. Then use arrow keys to move objects. 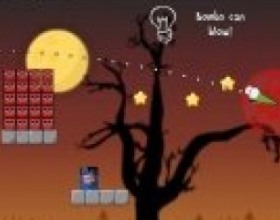 Use gravity, fire and logic to solve different puzzles and clear the screen from all pumpkins. Take a minute to think about the level and make your own tactics to remove all of them. Click on the pumpkins to remove them. Guide your plant through exciting adventure where you will see blood, violence and must kill all your human opponents. Use mouse to activate objects and let the things happen. 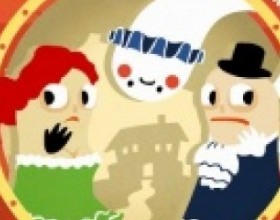 This game can end in two different ways, so test your skills to get both of horrible endings. Your task is to help some psycho and blood-thirsty alien on his mission on planet Earth. Make him stronger and create an evil army. Use mouse to point and click on objects and interact with surroundings. There are two bonus scenes after the game. 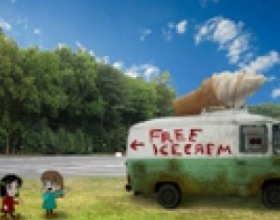 You play as a little girl who woke up in strange cellar after getting free ice cream. Freak got her with this cheap trick! 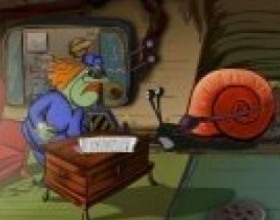 Now your task is to escape from the cellar of ice cream man or you're going to be someone's dinner. Use mouse to control the game. Halloween enjoys great popularity among the whole world. Despite the fact that traditionally it was celebrated in Scotland, Ireland and England on October 31, before All Saints Day, it is now known well in great many countries. 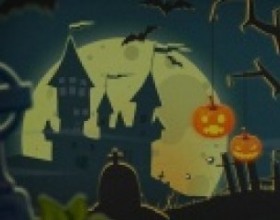 The fact that Halloween was widely used in the storylines of many films facilitates the world promotion of this holiday. 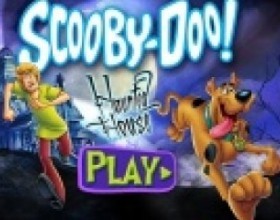 In computer video games concerning the genre you can experience the exciting atmosphere of Halloween. Here, the gamer can do everything that people do this night. He can choose a costume of any monster, zombie or any other beast and run in the roundabouts scaring his neighbours to death. 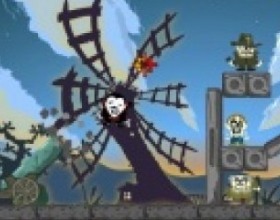 Thus, while playing the game, the player has to create a maximally scary costume using given clothes, makeup, etc. Also, in some games there is a championship on the best Halloween costume, so it is worth spending more time on making it really creative and catching. Traditionally children were scaring their neighbours and demanded sweets for mercy. In computer Halloween games, the gamer can also do that. 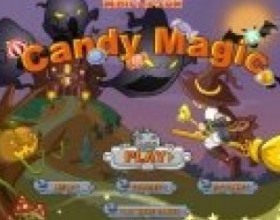 Actually the game may be organized in a form of competition between gamers in order to collect the largest number of sweets and candies possible. Thus, sometimes these games can be multiplayer. 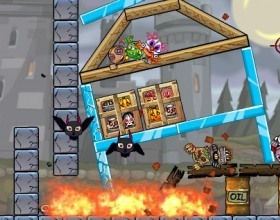 In some Halloween games the gamer must fight against monsters which long to capture his house. So, he has to organize defence of the house, collect various protection means, etc. The symbol of Halloween is a pumpkin, with different scary faces cut in it. Usually the pumpkin has triangle-shaped eyes and mouth and lighted with the candle from inside. 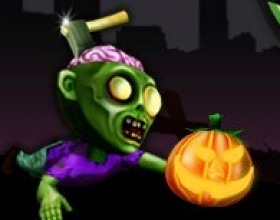 Computer games involve organizing a championship on creating the most scary and creative Halloween pumpkin. Also, cutting pumpkin is one of the favourite kids’ occupations on the Halloween. 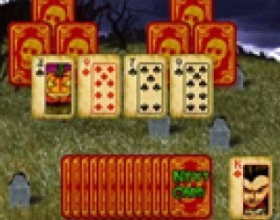 Computer Halloween games include numerous options for making them ever more interesting. Almost all of them are in 3D, providing the best quality of picture and bright game graphics and design. 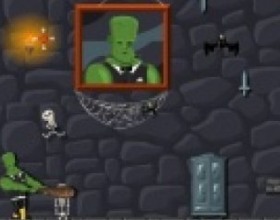 Naturally, Halloween games can be found online. Playing them is a nice opportunity to distract from daily work and get involved into series of funny adventures. 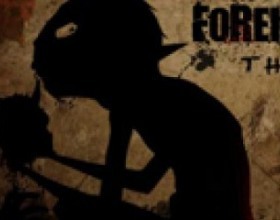 So, do not hesitate and join the company of funny monsters in the midst of the night of Halloween. Create a unique image for yourself and your friends and plunge into this crazy atmosphere.